With family by his side, Lawrence A. 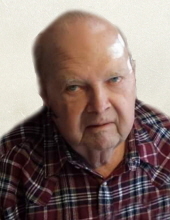 “Tiny” Eiler, went to be with the Lord on Saturday, February 9, 2019 at the age of 83. Funeral services will be at the Boldt Funeral Home, Faribault, on Saturday, February 16, 2019, at 2:00 p.m. with the Reverend Greg Ciesluk, pastor of Fourth Avenue United Methodist Church, officiating. Spring interment will be at Meadow Ridge Memorial Park, Faribault. Visitation will be at the Boldt Funeral Home, Faribault, for one hour prior to the service on Saturday. Lawrence A., the son of Otto and Pearl (Ista) Eiler, was born December 14, 1935 in Faribault. He was the youngest of eight children. Tiny graduated from Faribault High School in 1955. After graduation he served in the United States Army Reserve and was later honorably discharged. Tiny married the love of his life, Laura E. (Lee) on October 6, 1962 at The Little Brown Church in the Vale in Nashua, IA. They became an instant family with her two girls and Lucy soon to follow. He worked as a carpenter building houses for Paul Gray Construction before going to work at the Faribault Woolen Mill as a millwright for 30 years. While at the Mill, he continued using his wood working skills finishing off the offices and store as well as fixing machinery or making repairs in the factory. Every year, Tiny would place the Christmas tree on the top of the factory. He took pride in making sure all the lights worked. After retirement from the Woolen Mill, both Tiny and Laurie worked at ESI in Faribault. They opened their home to clients allowing them some time away as a retreat or as a transition before moving out into the world. They enjoyed their new family of friends. They looked forward to going bowling and baseball games with them. They would take them out to their cabin or spend time building birdhouses. Tiny was an active outdoorsman. He looked forward to hunting with his friends, Conrad Stearns and Dave Klatt. He enjoyed teaching his daughter Lucy how to hunt and together they would search for Pheasants and squirrels at his friend, Orville Bauer’s farm east of town. He taught all of the girls how to fish at the family cabin on Cannon Lake and enjoyed taking snowmobile rides in the winter. Tiny and Laurie enjoyed taking family vacations every summer. These trips involved packing up the family station wagon and tenting as they crossed the country or went into Canada. It wasn’t until the early 1970’s that they decided there had to be a better way to go and then they purchased their first motorhome. After retirement, Tiny and Laurie had more freedom to travel. They traded in the RV and enjoyed the comfort of taking motor coach tours. During their life together, they would experience all 50 states and provinces in Canada. Tiny is survived by his daughter, Lucinda “Lucy” and husband, Anthony “Tony” Gaylor of Aitkin, MN and their sons, Aaron L. (wife Mandy) Gaylor and Dean A. Gaylor. Daughter, Michelle “Shelly” Miller of Faribault and her daughter, Stacy McDaid and her children, Isabell, Gannon and Porter. Daughter, Vanessa Kuhlman of Faribault and her daughter, Bianca (husband Ola) Carr-Adabanjo and their children, Everett, Michael and Ranti. He is survived by his sister, Laura Kowalewski of Riverside, CA; and sisters-in-laws, Irene Eiler and Charlotte Eiler, both of Faribault. Tiny is also survived by several nieces, nephews and friends. Lawrence was preceeded in death by his wife, Laura, who passed in 2017; his parents and parents-in-law, James and Florence Lee; brothers, Ervin, Raymond, Lloyd and Richard Eiler; sisters, Gertrude Friesen and Betty Brockmueller; brother in law, James M. Lee; nephews, Paul and Tom Eiler, Anton and John Kowalewski; nieces, Carol Knobel and Sharon Schneider. Visit boldtfuneralhome.com for information and guestbook. "Email Address" would like to share the life celebration of Lawrence A Eiler. Click on the "link" to go to share a favorite memory or leave a condolence message for the family.